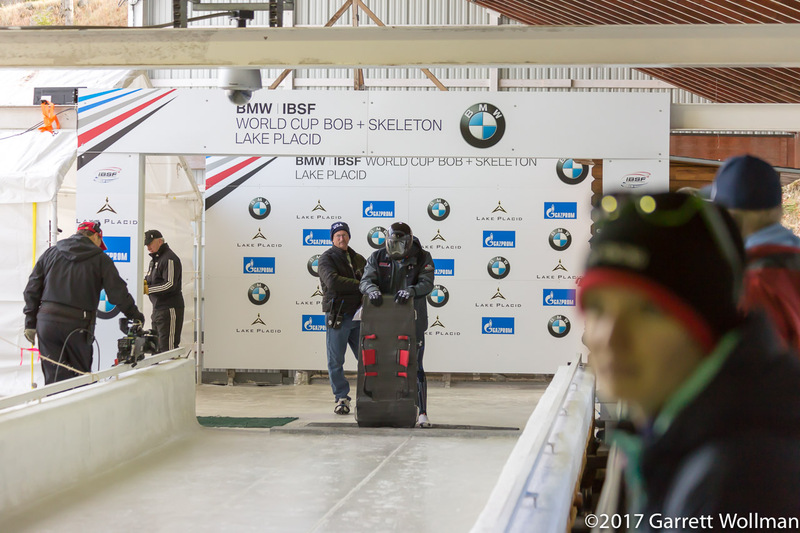 The regular gallery format isn’t great for showing sports action photos, but I wanted to show what a skeleton start looks like. 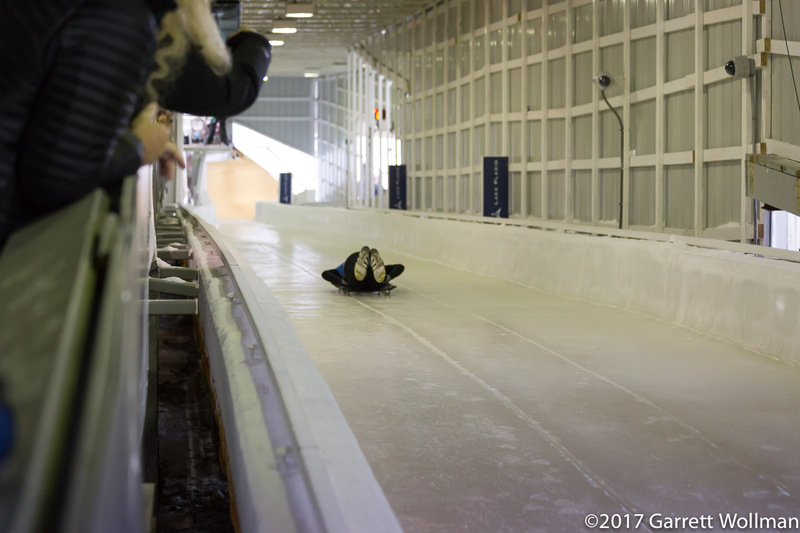 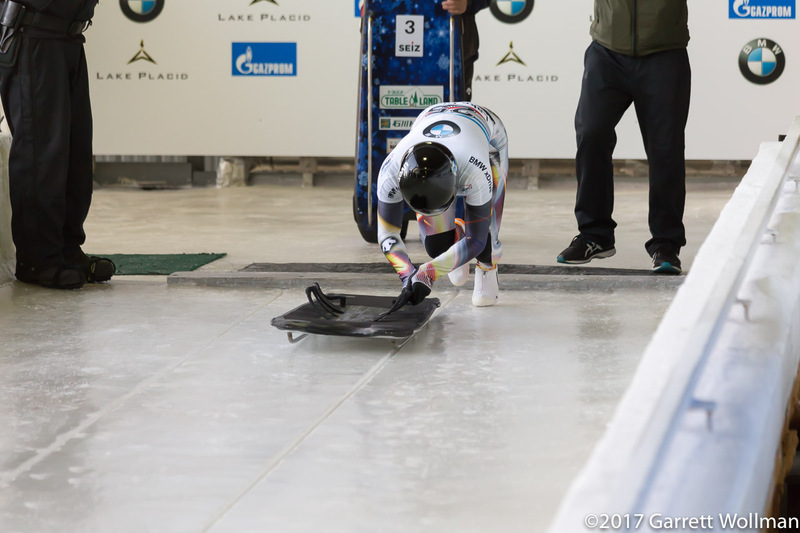 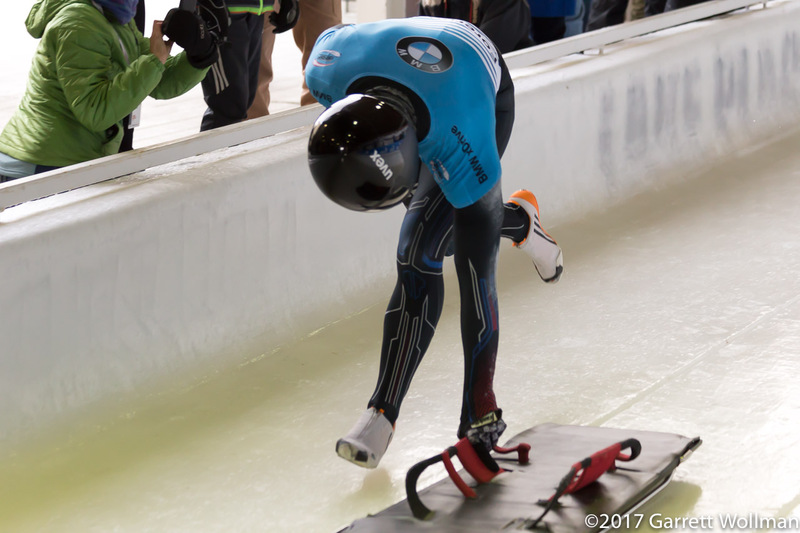 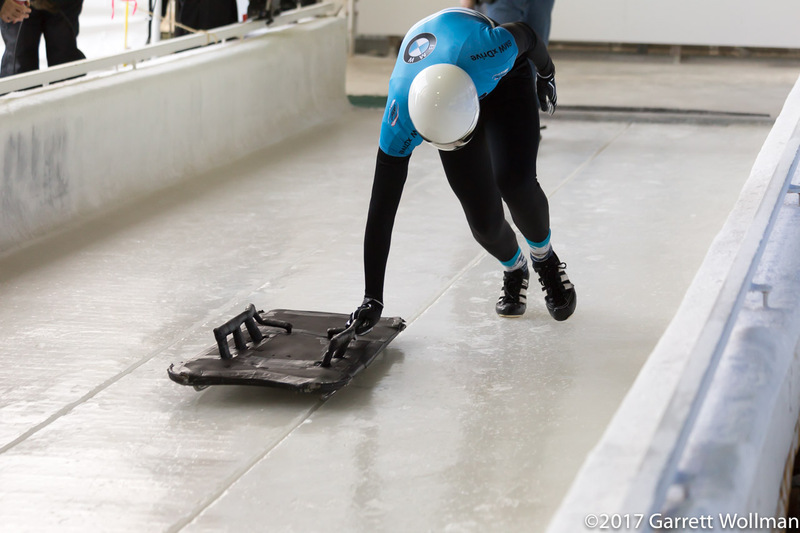 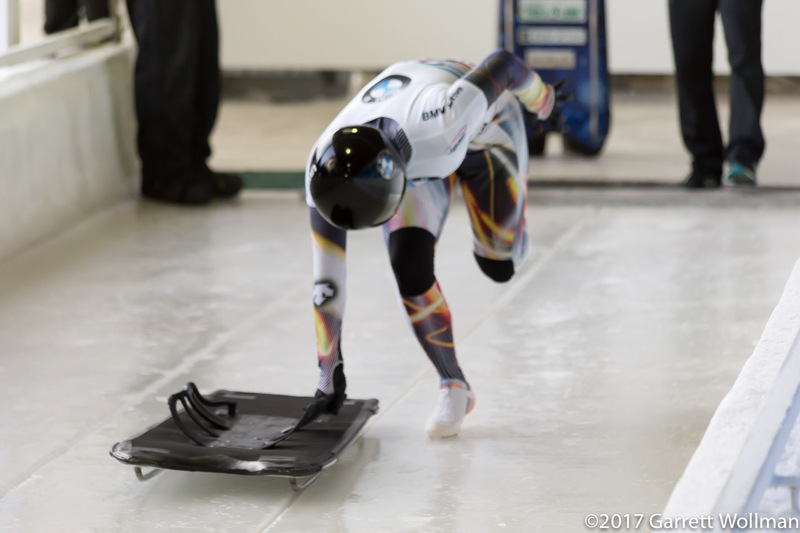 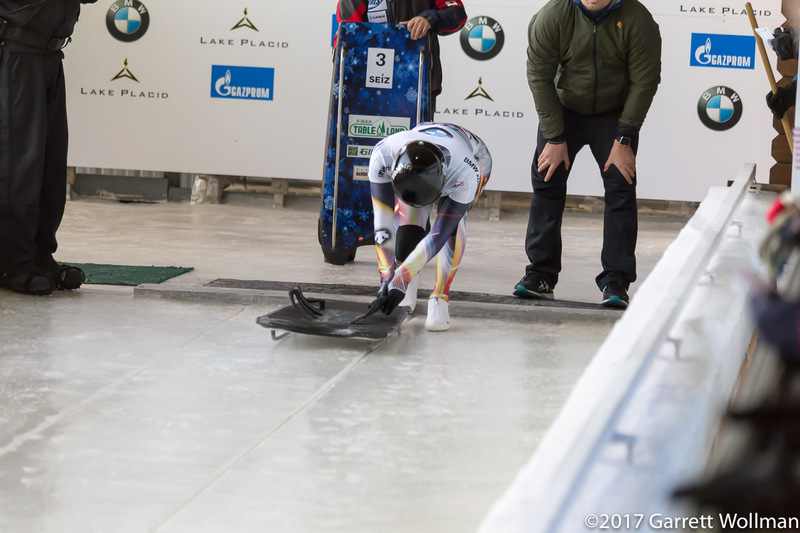 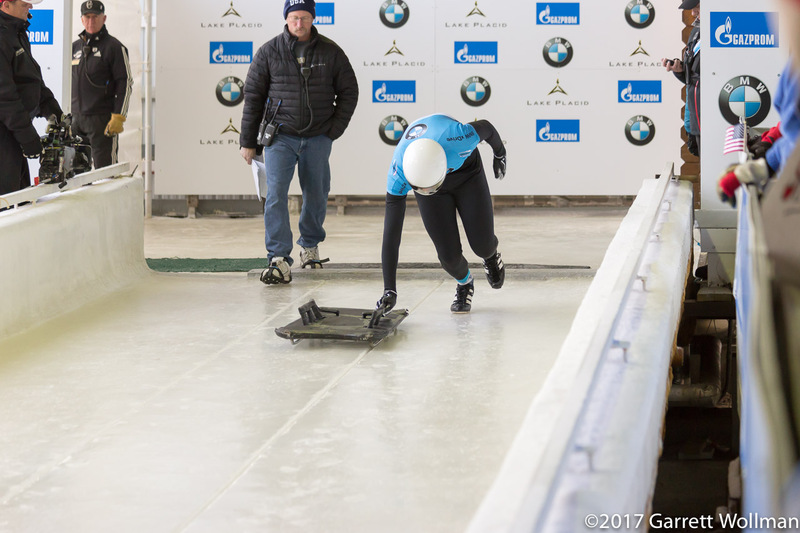 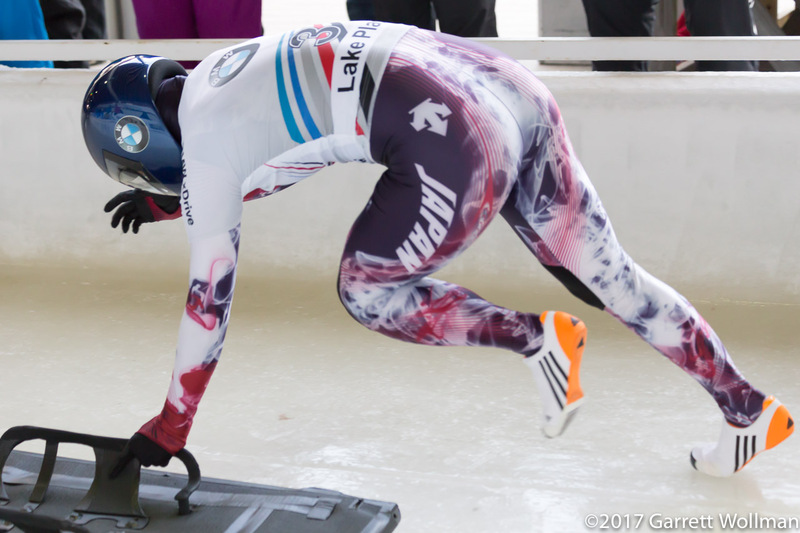 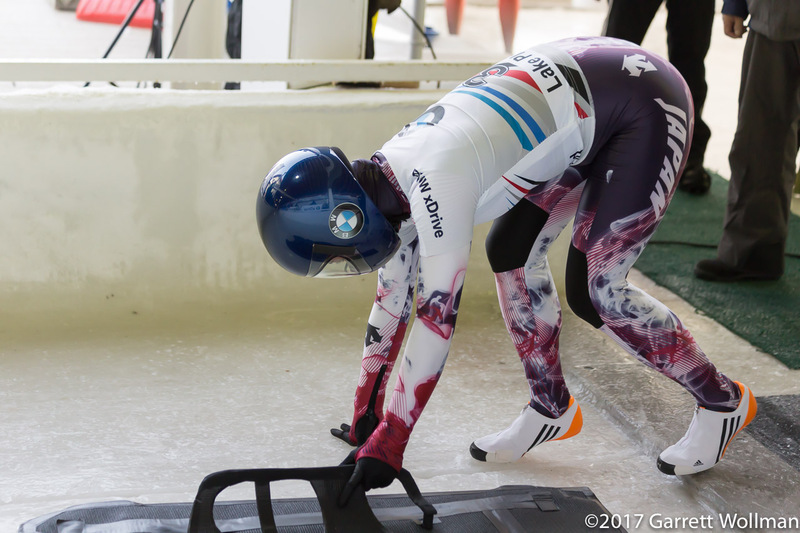 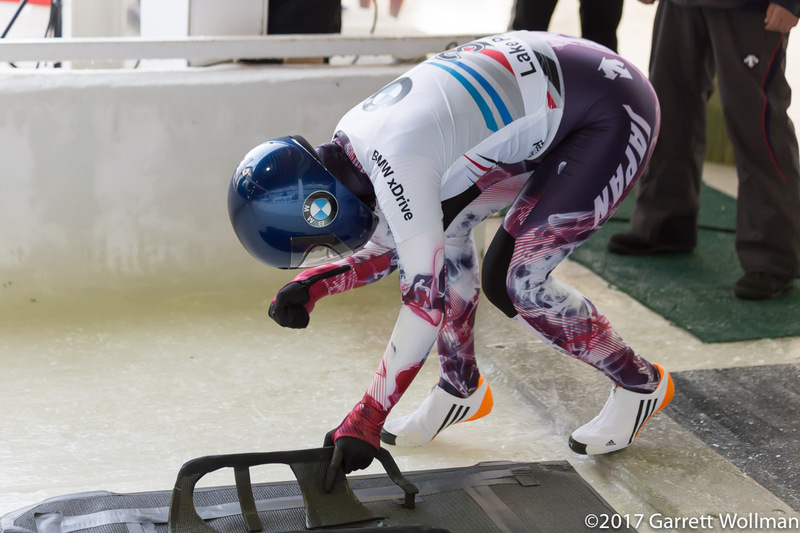 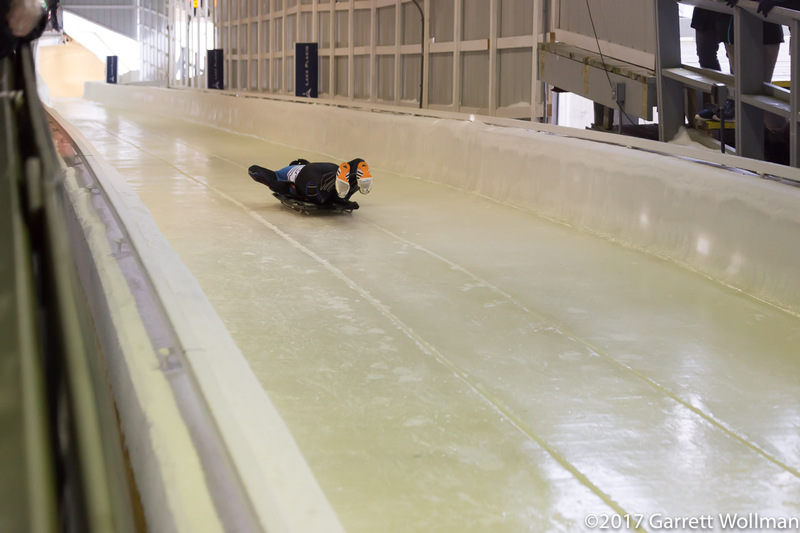 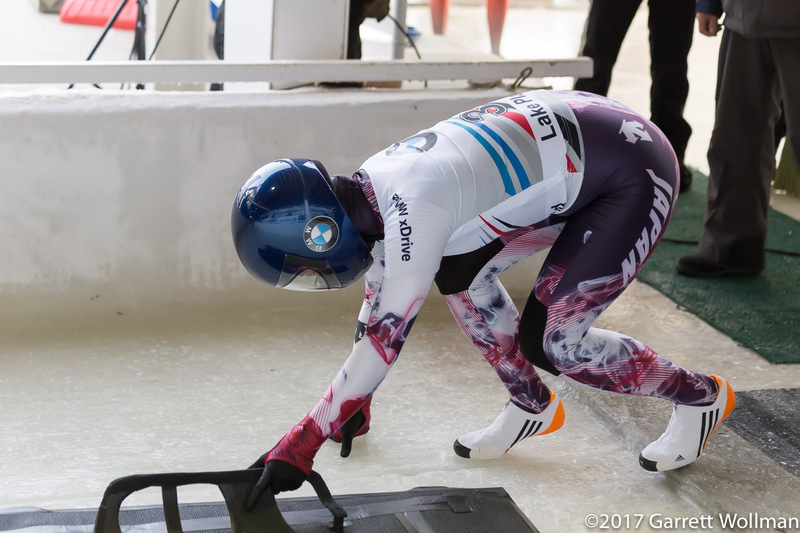 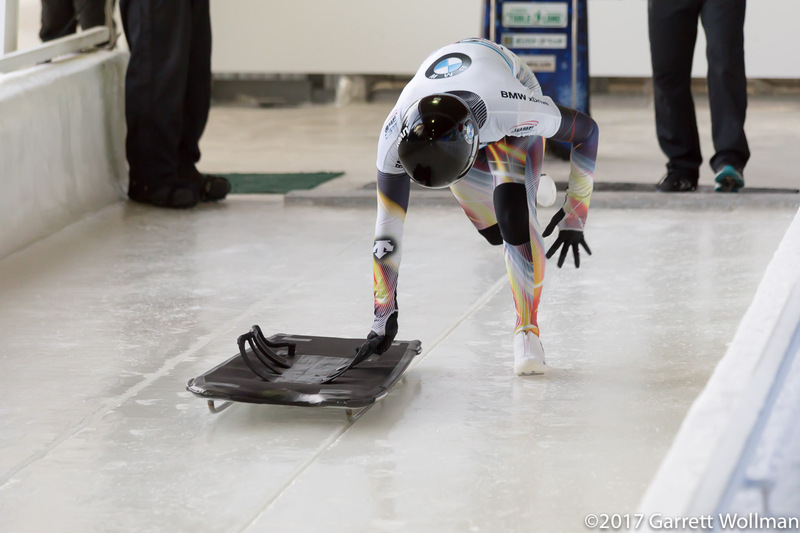 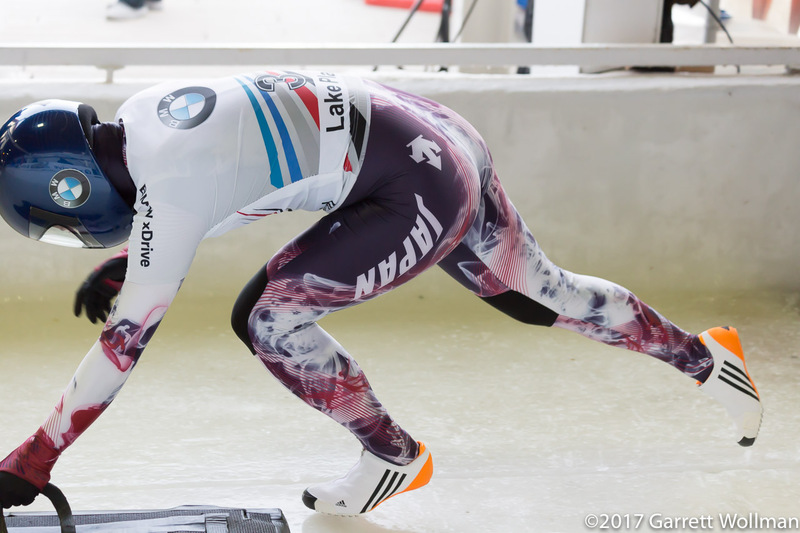 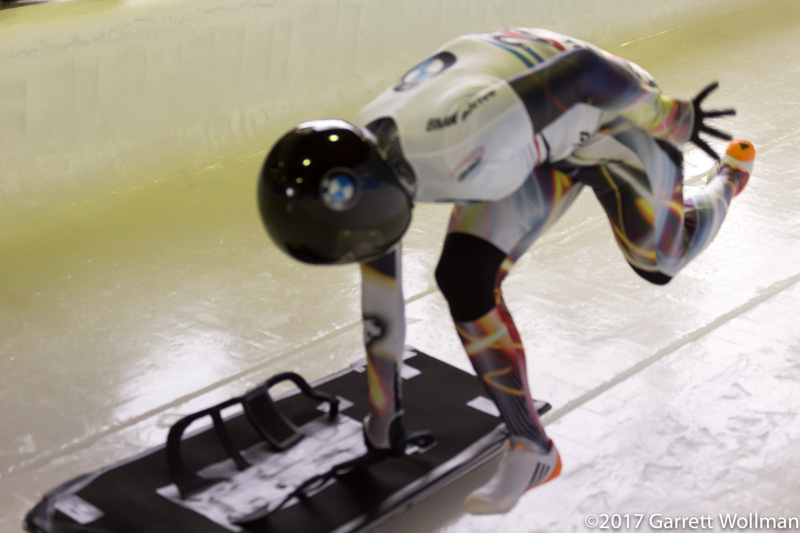 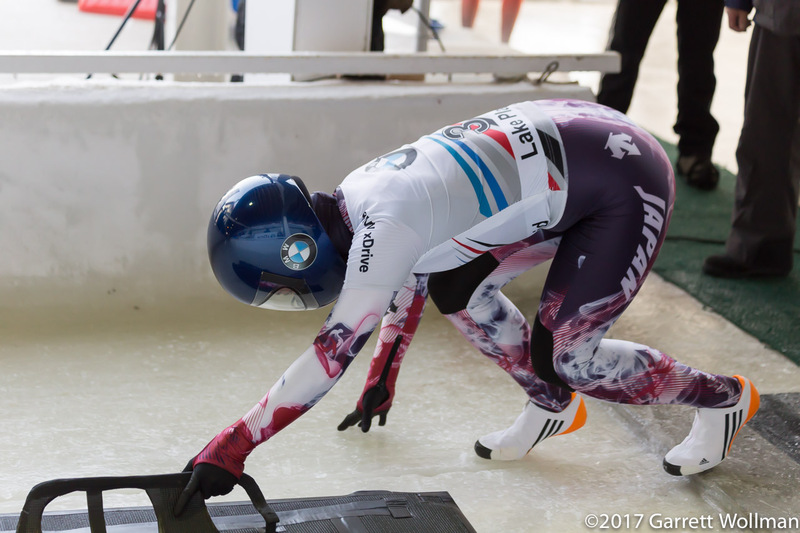 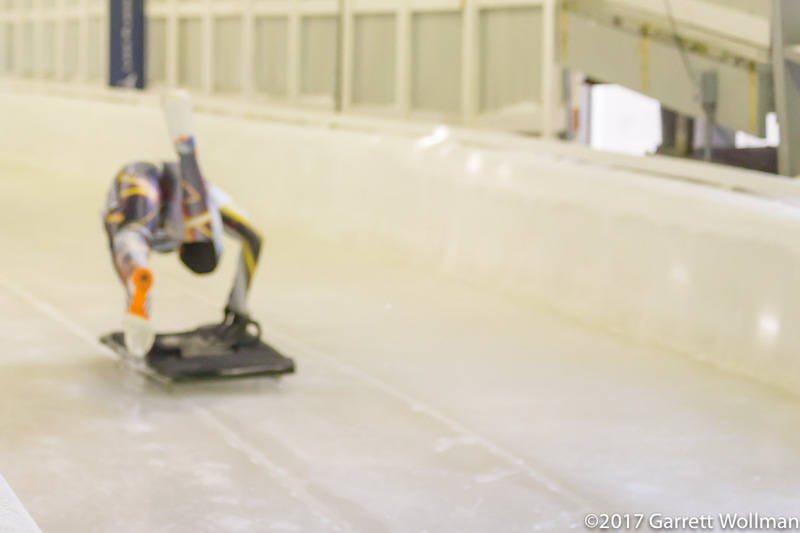 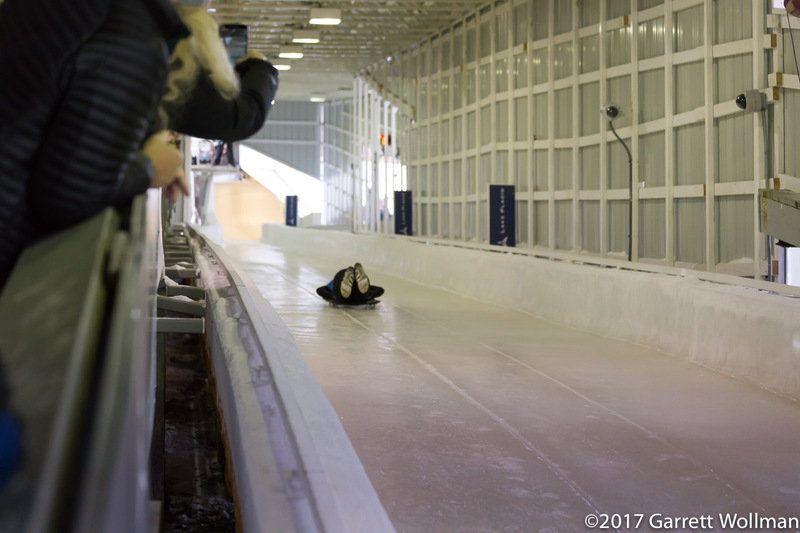 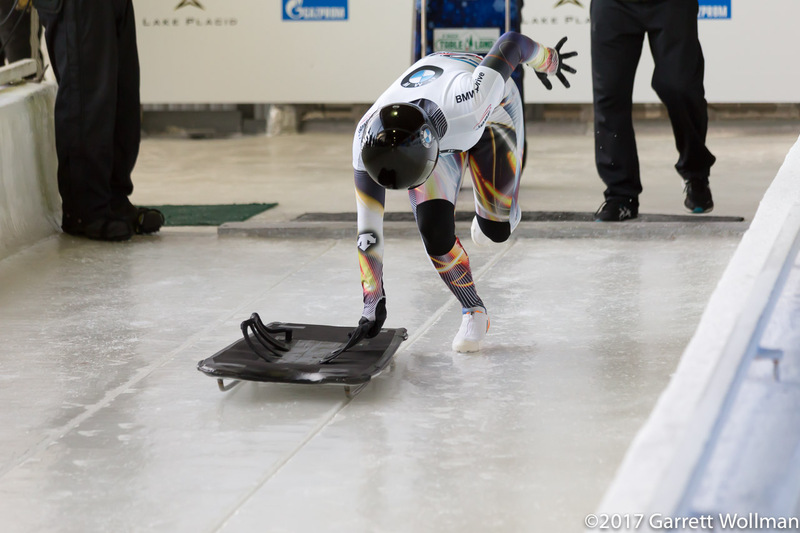 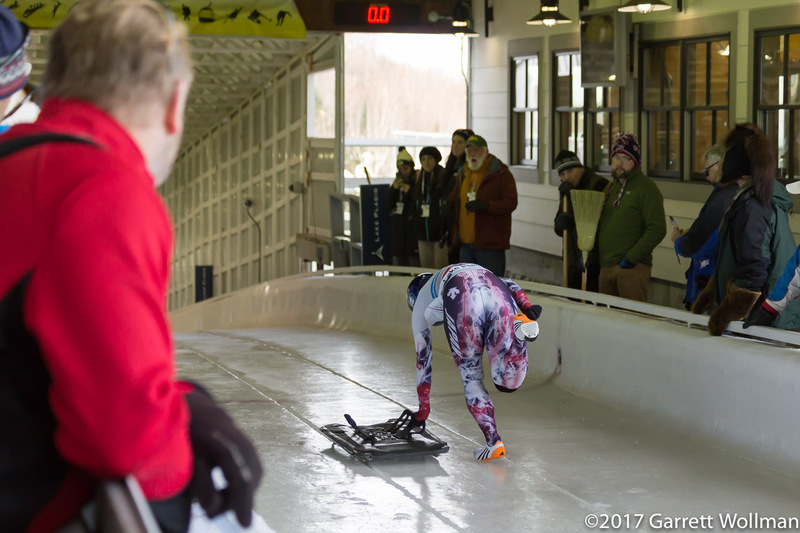 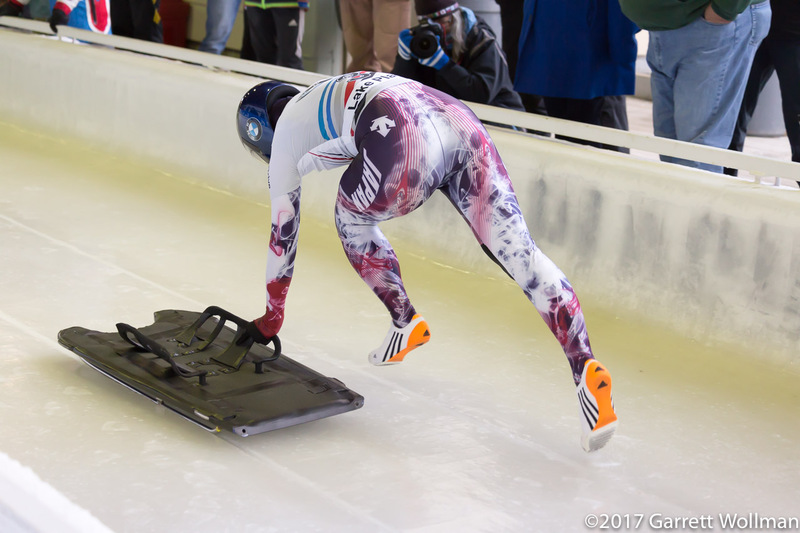 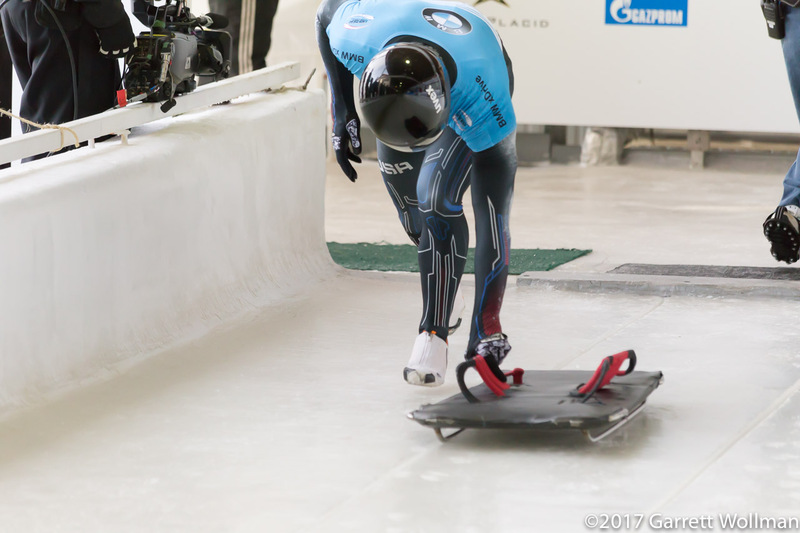 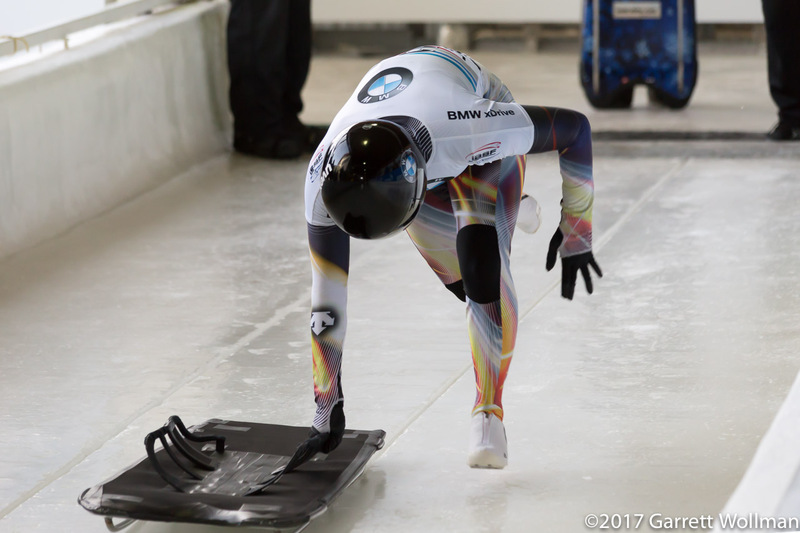 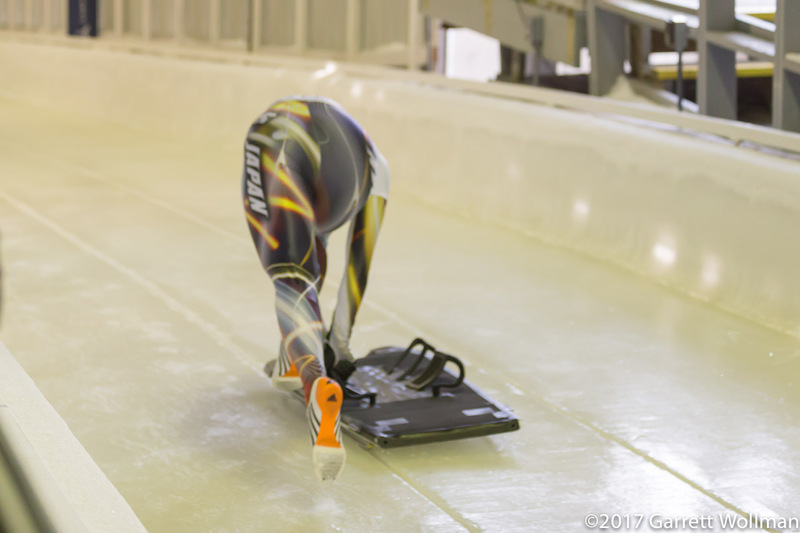 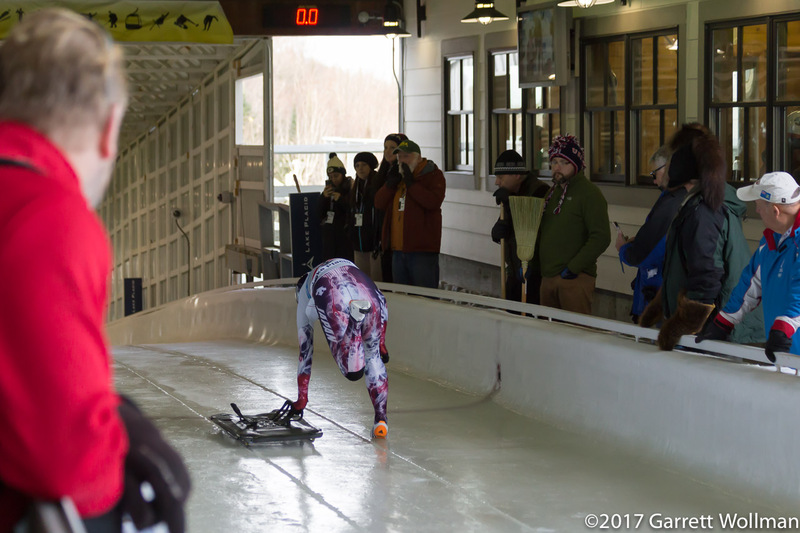 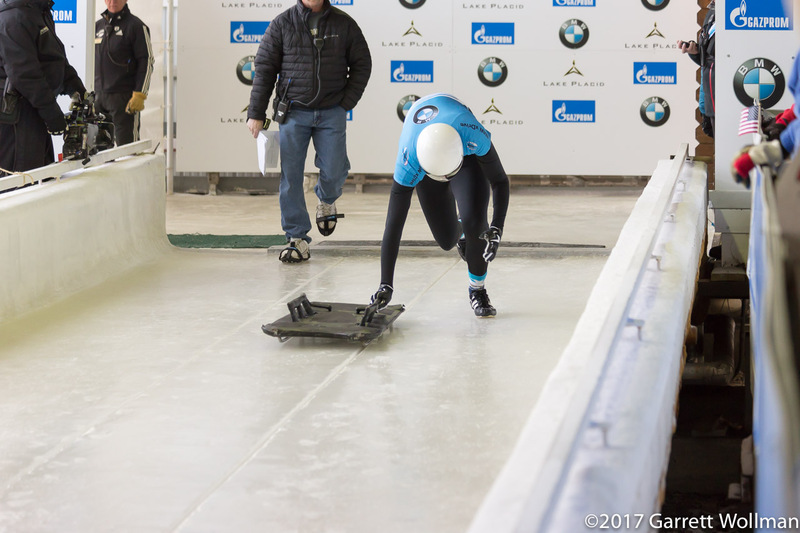 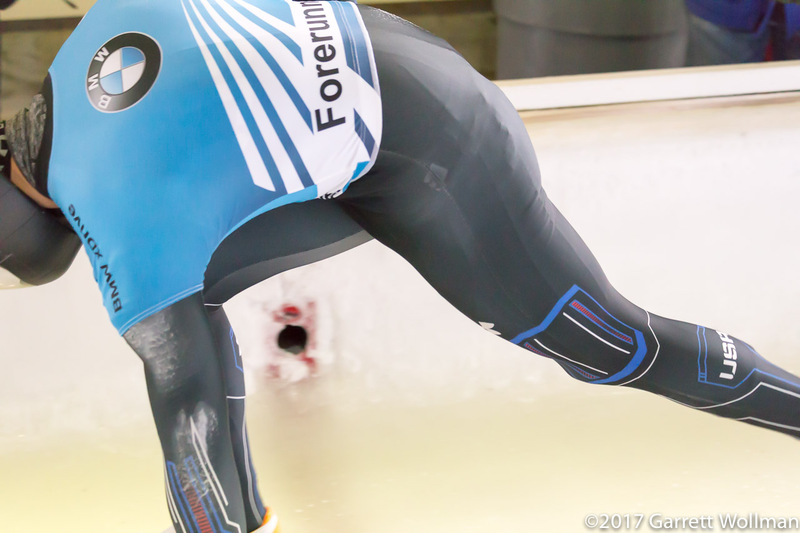 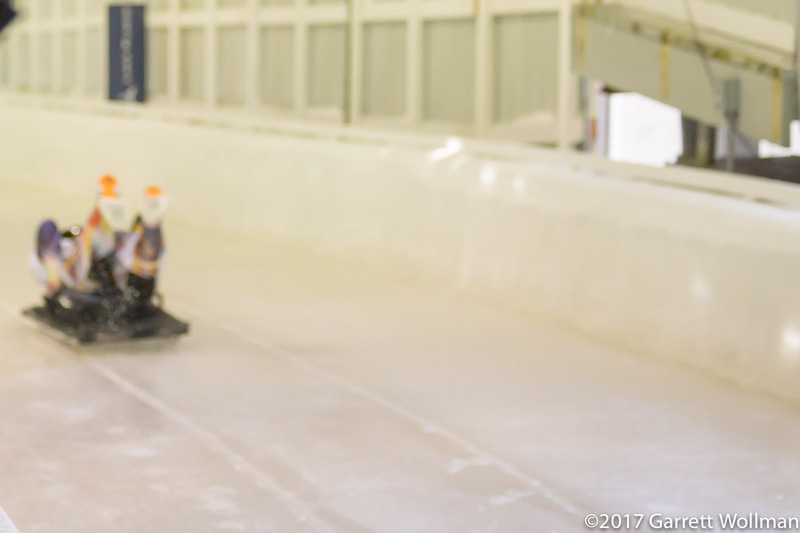 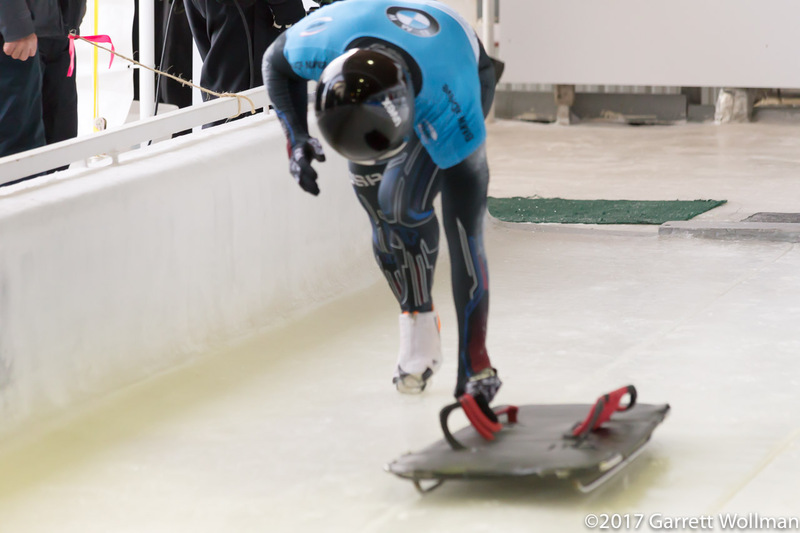 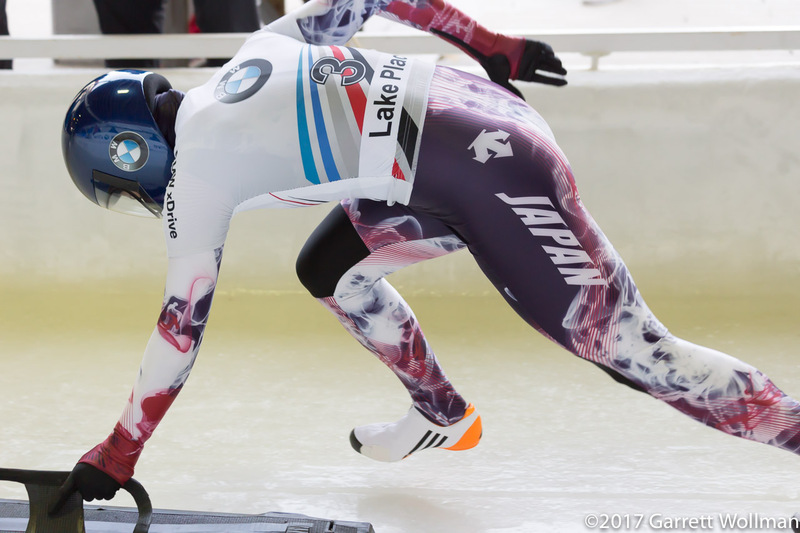 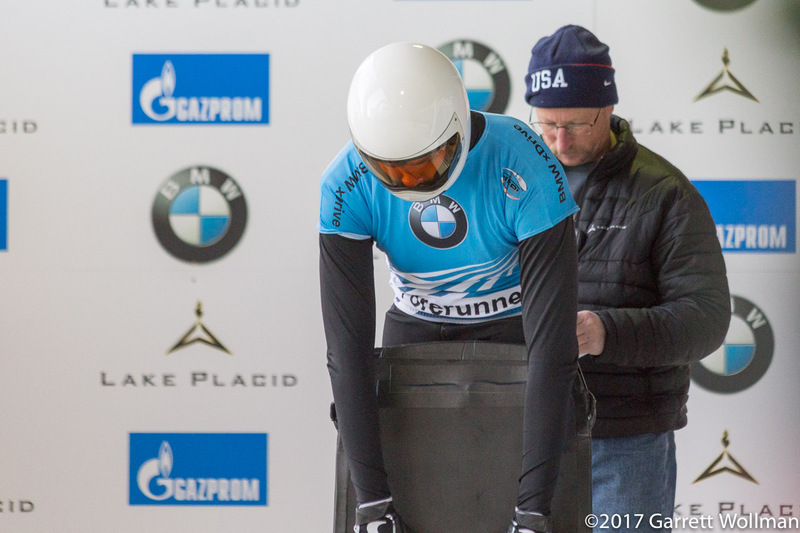 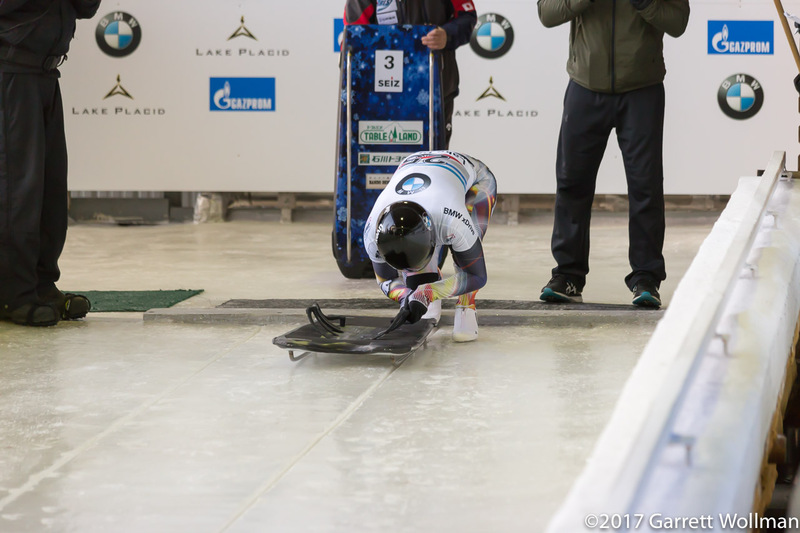 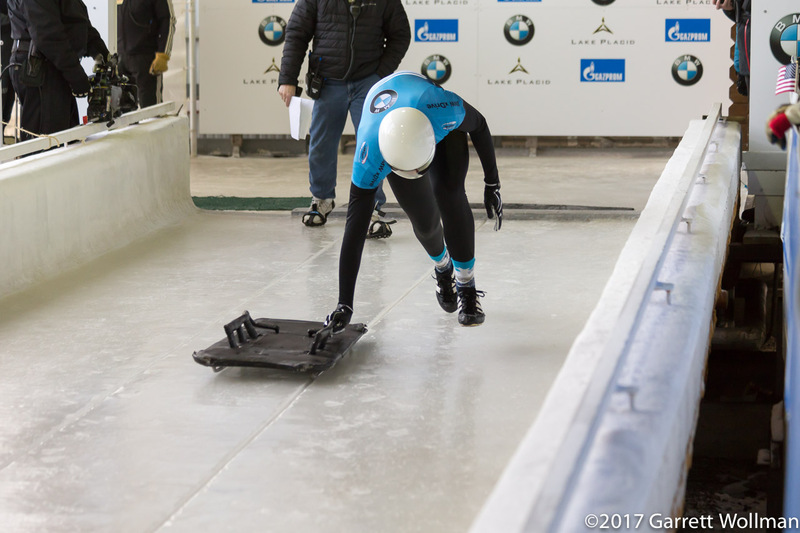 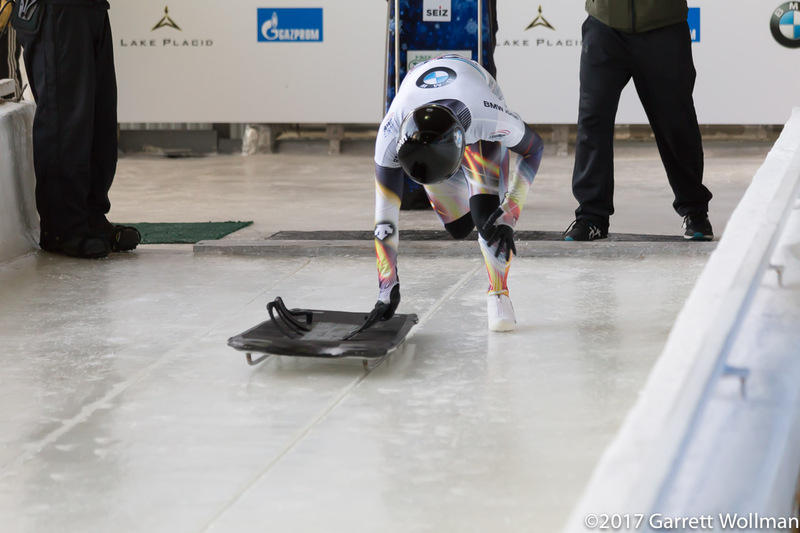 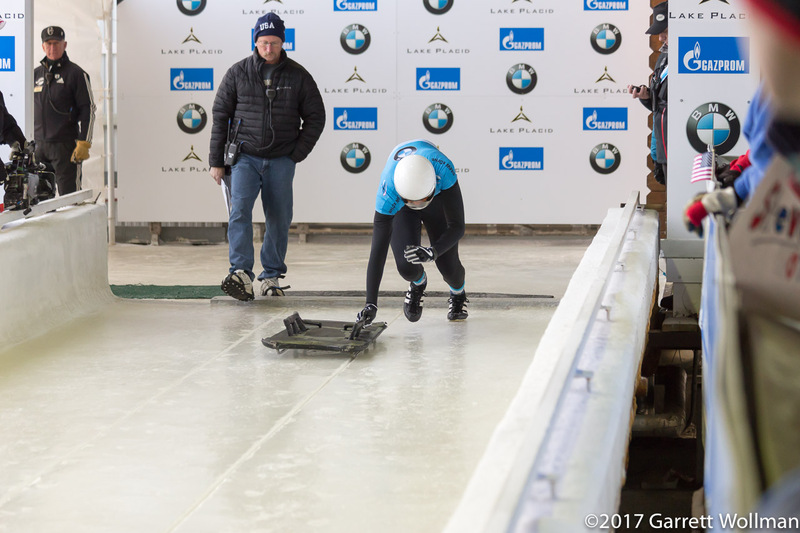 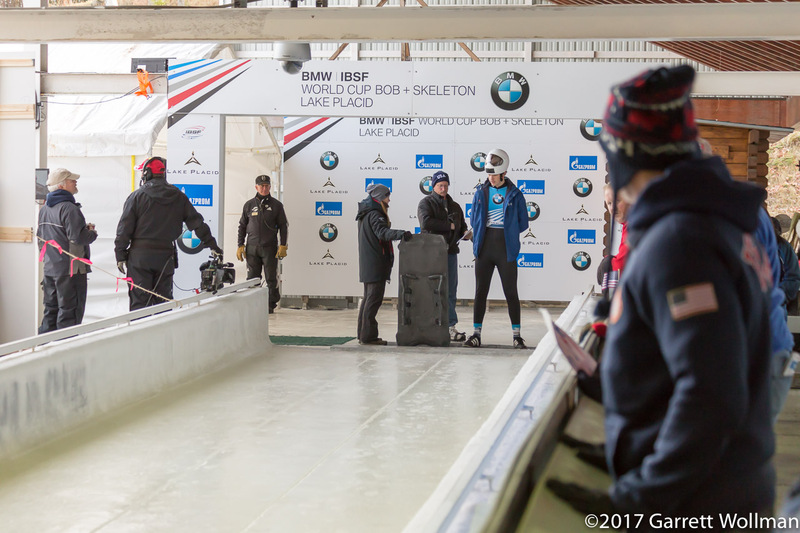 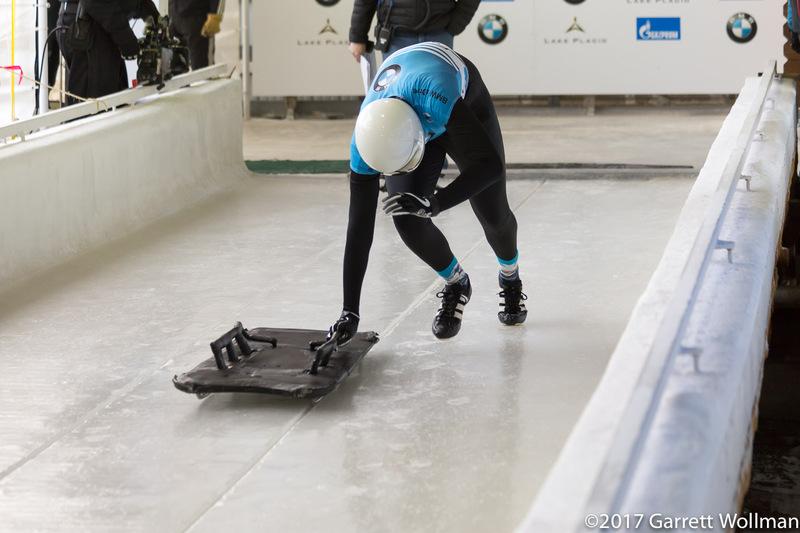 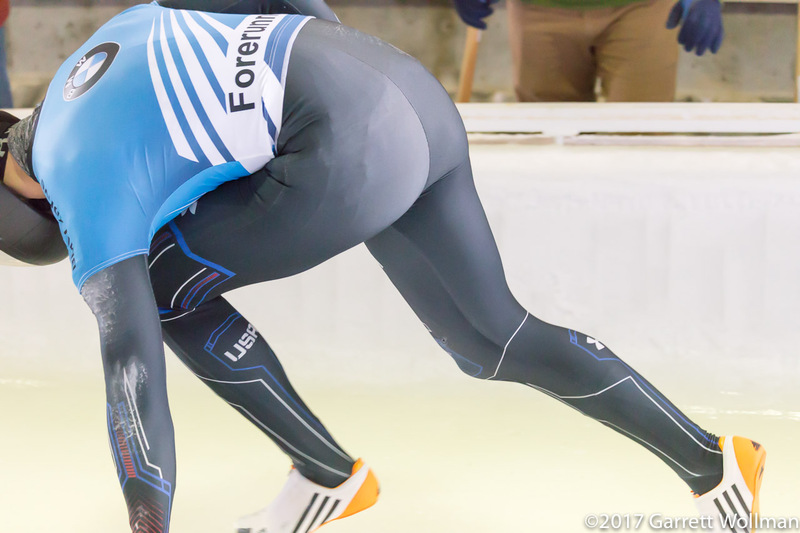 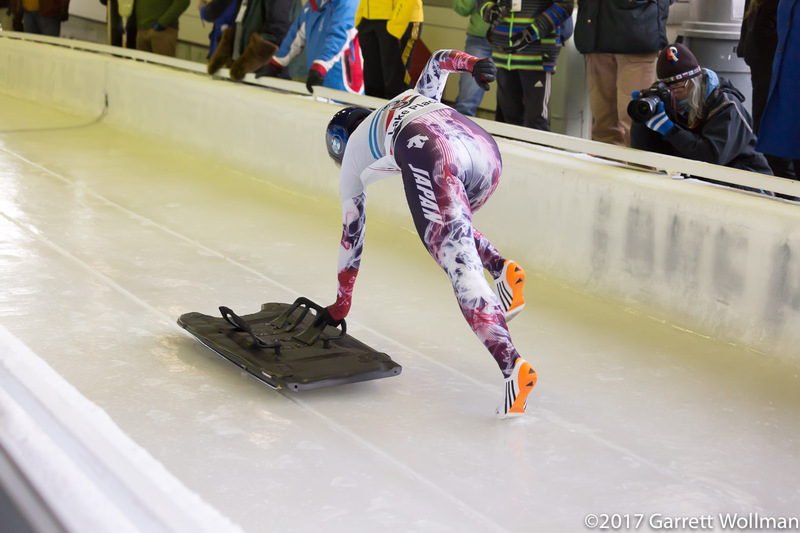 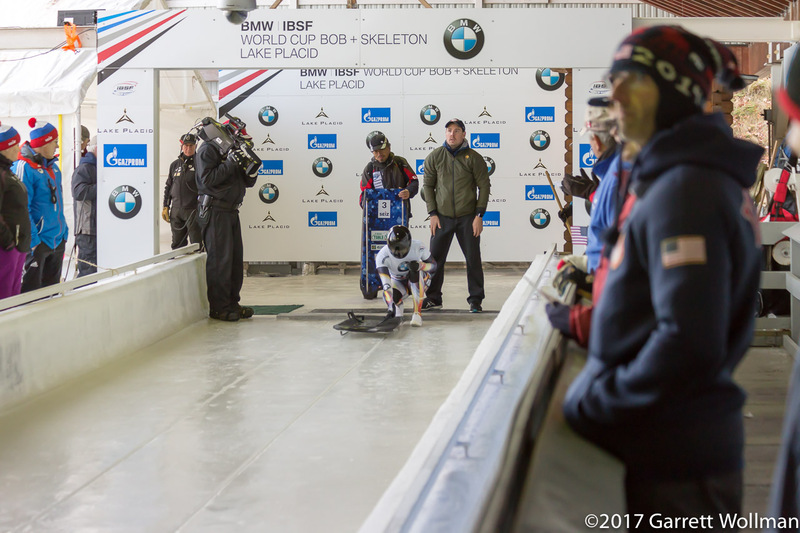 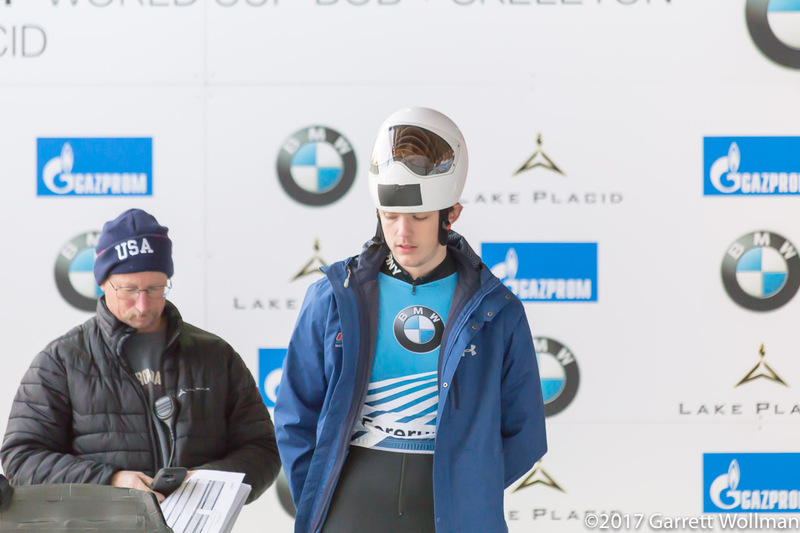 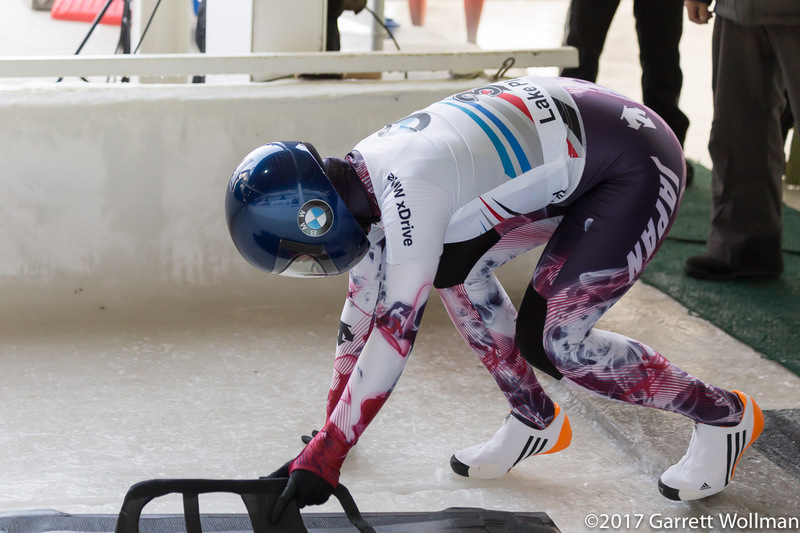 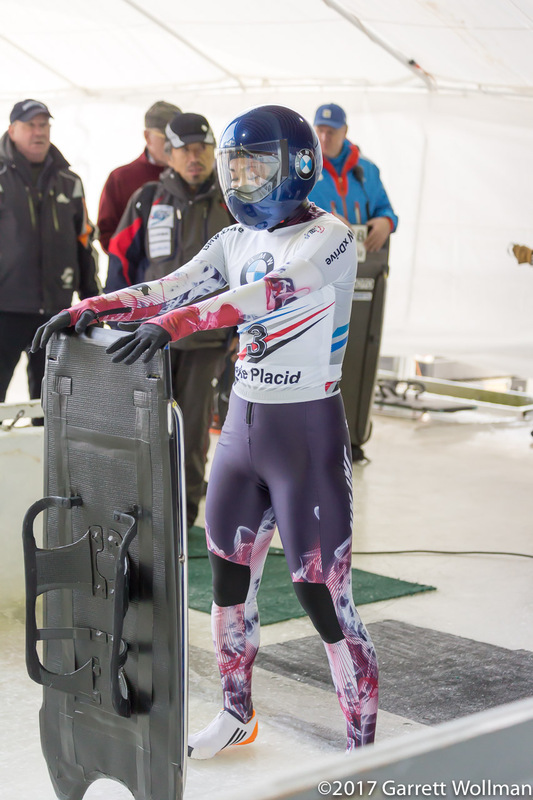 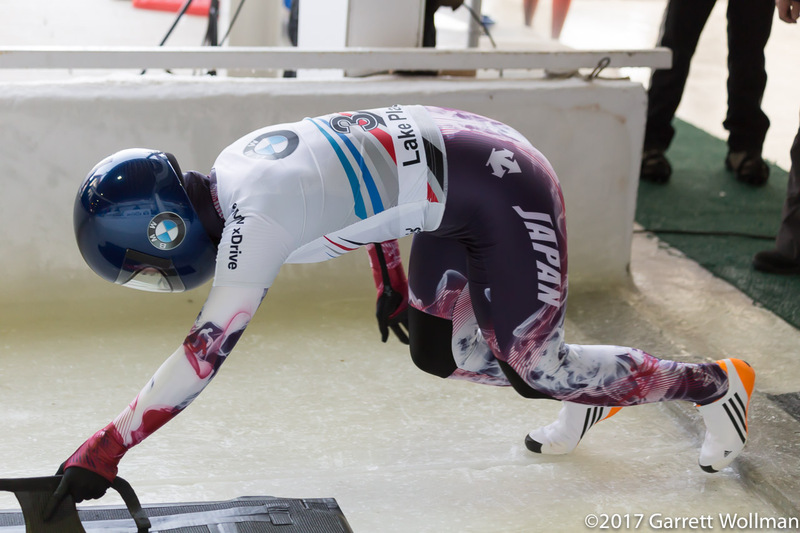 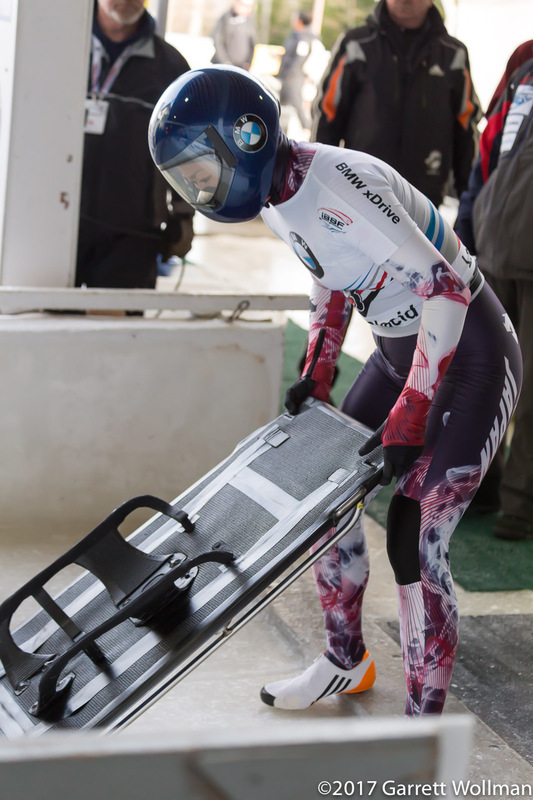 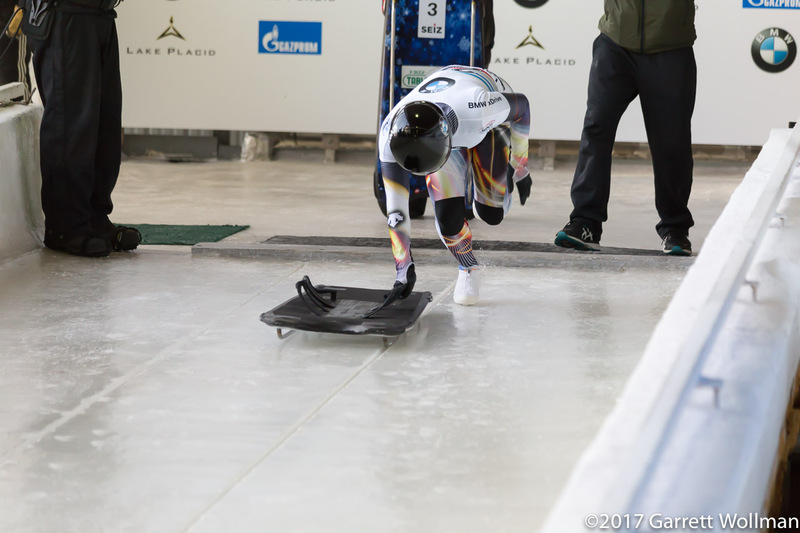 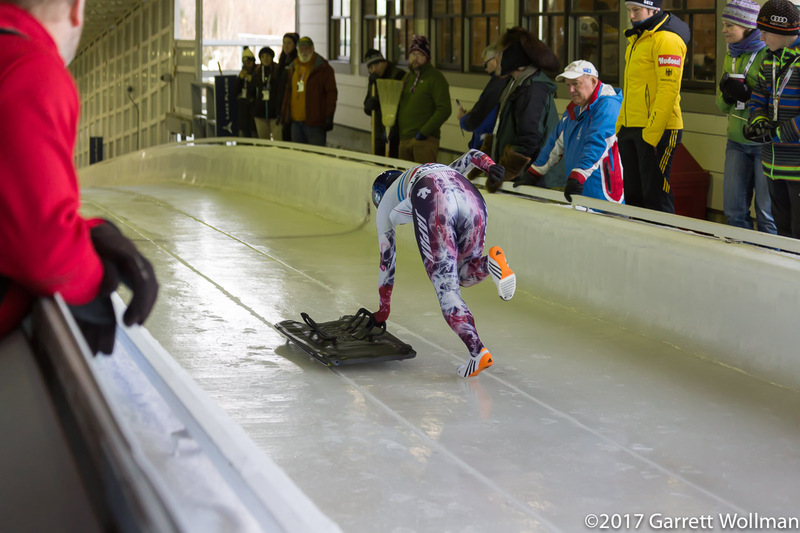 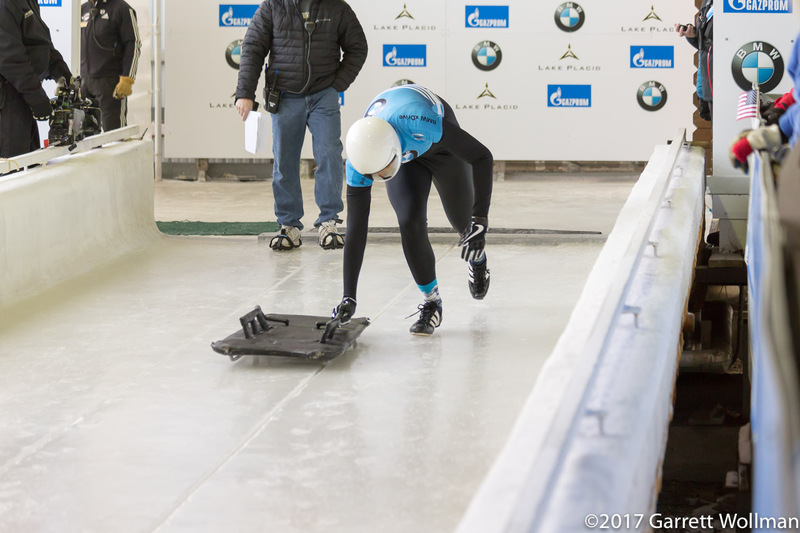 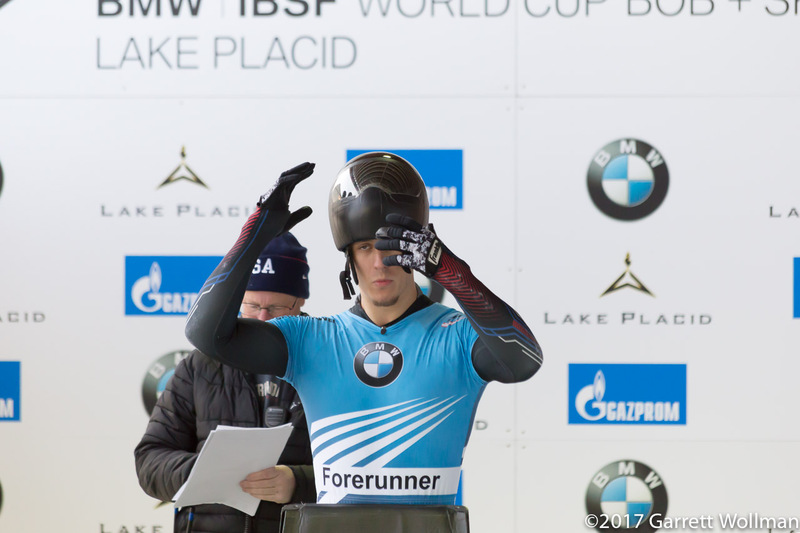 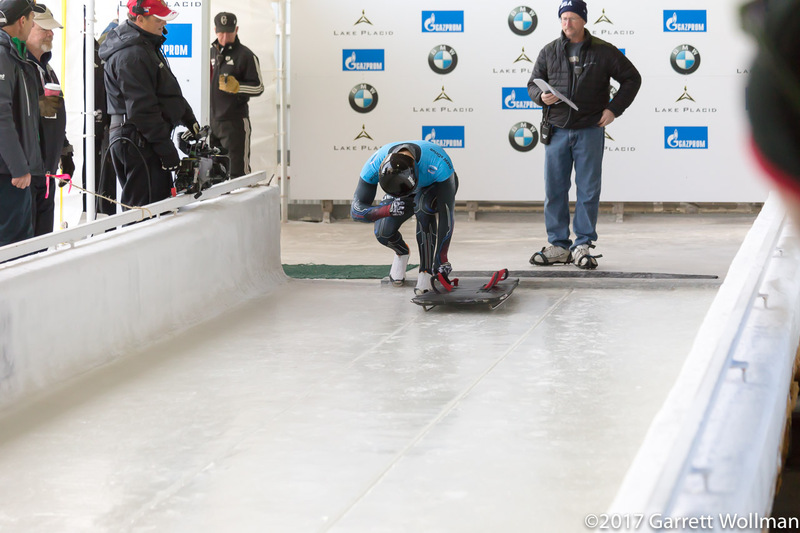 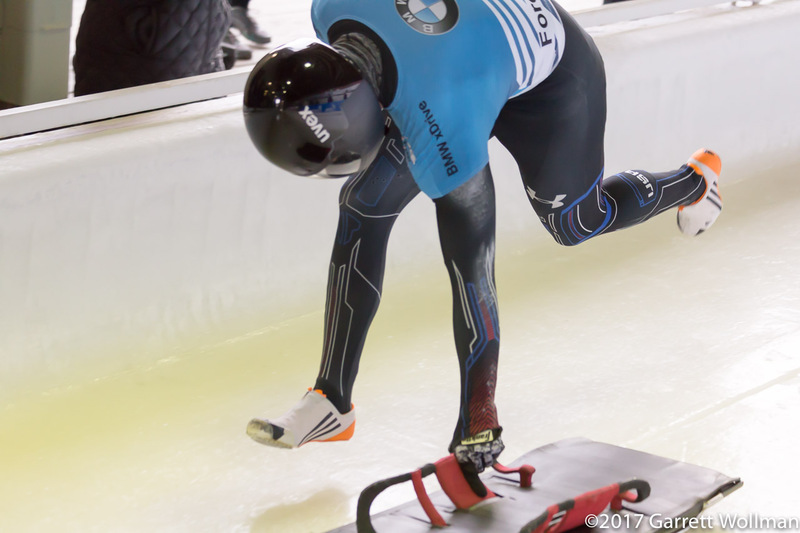 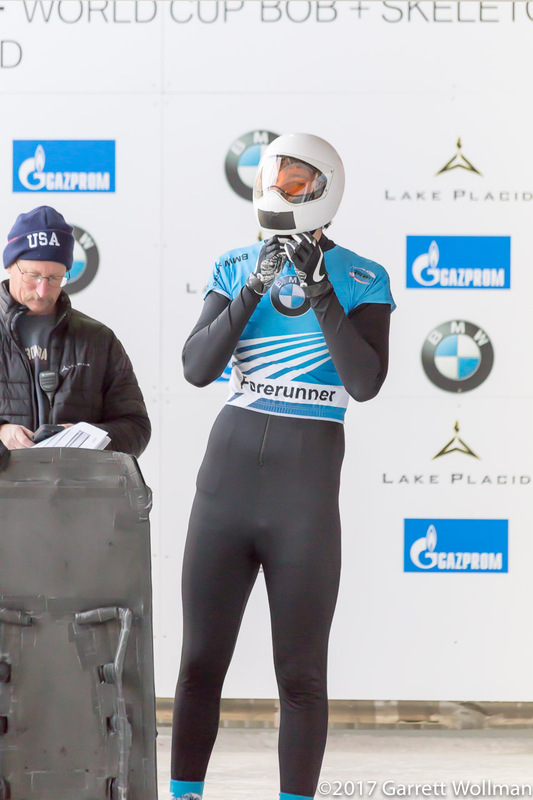 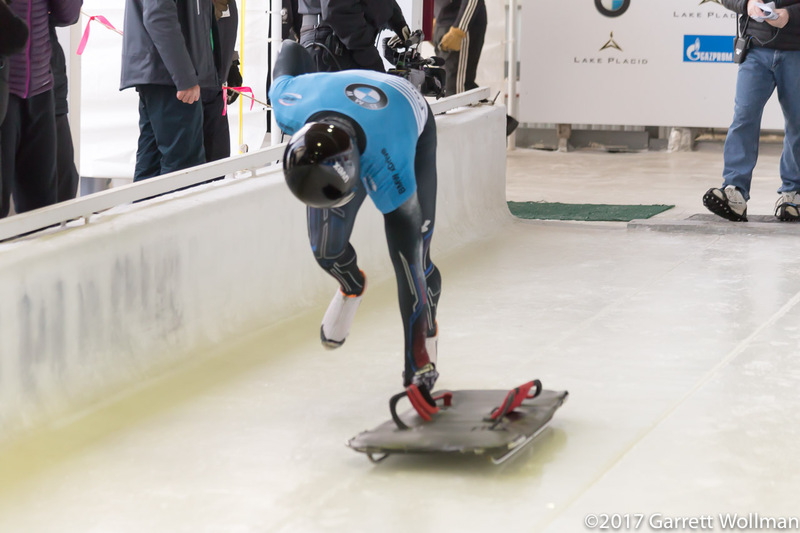 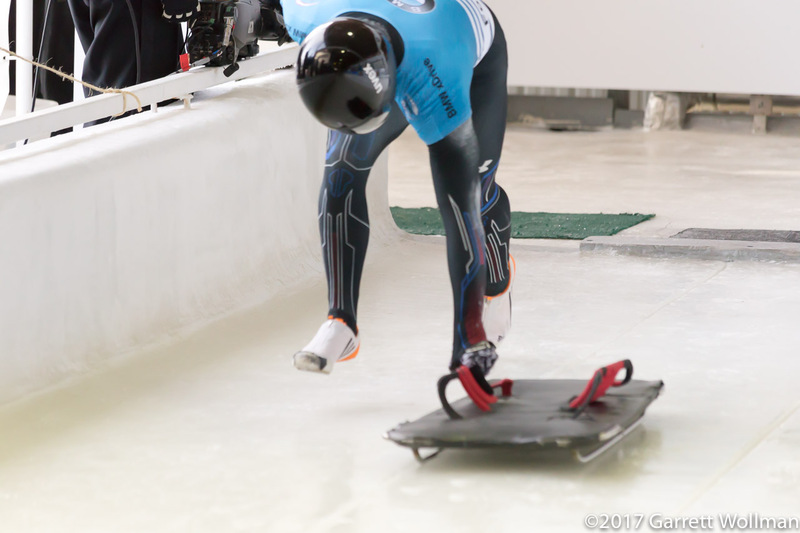 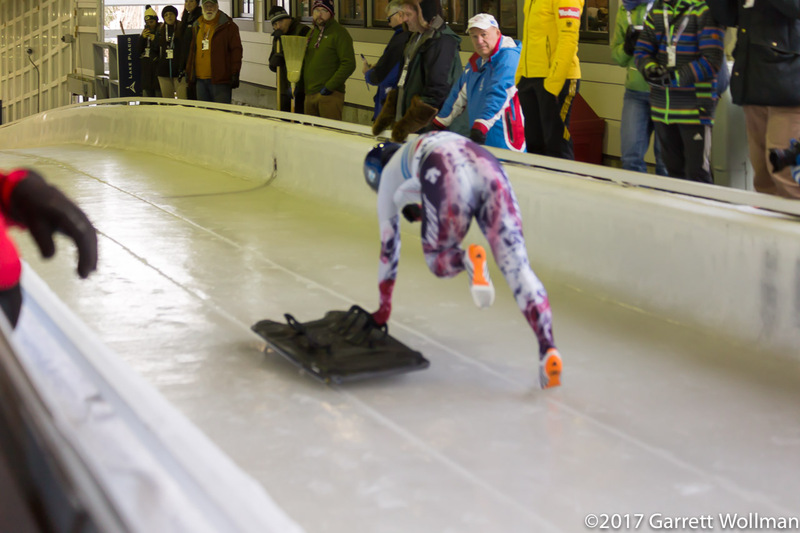 These photos were taken during the second heat of the BMW IBSF World Cup women’s skeleton race at Lake Placid on November 9. 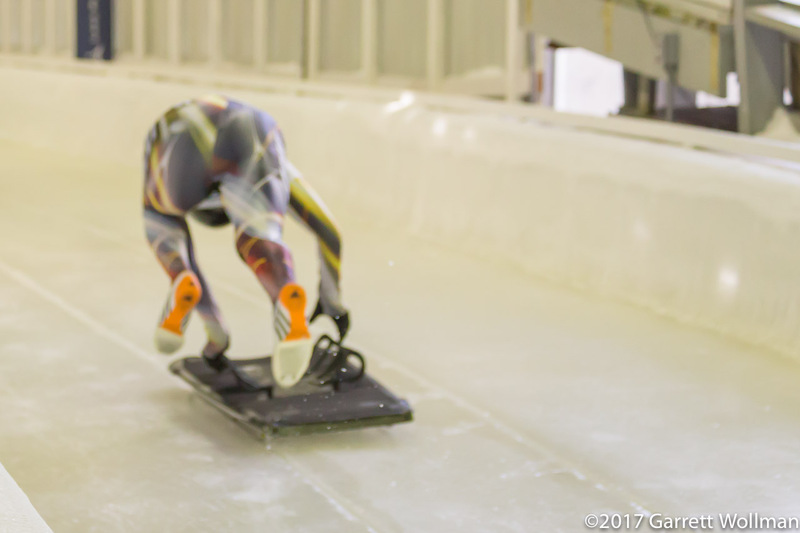 The first two sliders shown are the forerunners, who make sure the track is ready for racing (but who are not otherwise identified in the race documentation); the first competitor is Nozomi Komuro (JPN), who would finish the race in 18th place, and she is followed by her teammate Takako Oguchi, who finished last. 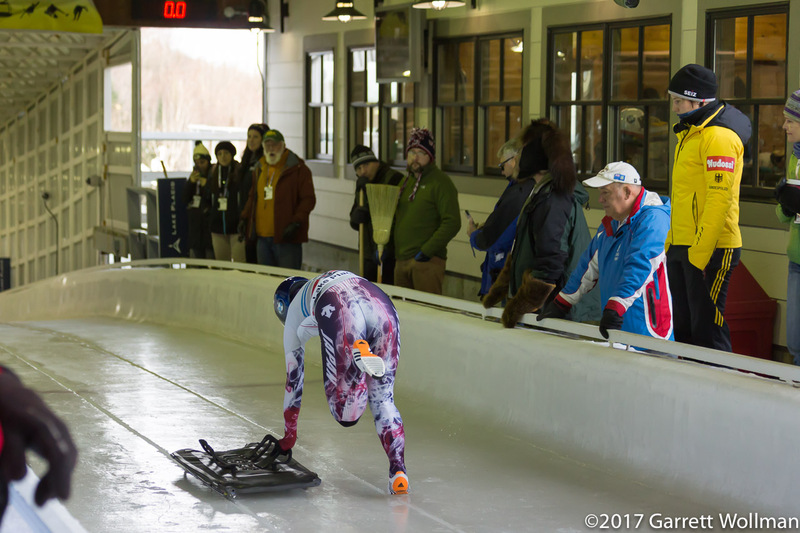 The second run starts are in reverse order of the sliders’ performance in the first run, so the winner of the first heat — who has the best chance at winning the race overall — is the last one down the track in the second heat.